Perhaps the Sunbelt Rentals case will not have the impact in Illinois that many lawyers think. (1) Is it reasonable in terms of time, territory and scope restrictions? (2) Does the covenant support, or protect, a legitimate business interest? In Sunbelt Rentals, the Fourth District Appellate Court held there was no binding Supreme Court precedent allowing the second inquiry to proceed. 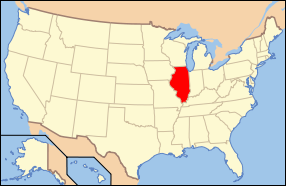 Accordingly, in one division of the Illinois Appellate Courts, a non-compete contract is judged solely under the reasonableness criteria. However, the ruling has not had much impact outside the Fourth District. In several cases, both state and federal, courts have either discounted Sunbelt Rentals as an outlier case of little value, or have ignored it altogether. This time, the case arose in Southern Illinois in a dispute between Robert Peckham and Sims Metal Management. When Peckham was fired from SMM in 2010, he sued to declare his non-compete contract unenforceable. SMM countersued and sought preliminary injunctive relief. In denying the injunction, the court examined whether the non-compete covenant supported a legitimate business interest in customer contacts or access to proprietary information. Not only did the court not cite Sunbelt Rentals, it relied on the case Sunbelt Rentals purported to overrule when finding that the non-compete supported no legitimate business interest. Also of consequence, the court found no consideration to support the non-compete agreement. The court believed that a six-month term of employment with no payment for the covenant itself rendered the agreement unenforceable. It is not clear whether Peckham worked at SMM prior to signing the covenant or whether it was signed at the inception of his employment. If it was the latter, the court's finding almost certainly would be erroneous. The court had to be persuaded by the fact that Peckham was terminated involuntarily. This case is another example of a court ruling in favor of the employee wearing the white-hat. It was clear SMM went after Peckham when he posed no real threat to it, and when there was no evidence Peckham competed unfairly with SMM by using misappropriated information. Particularly given the involuntary termination, SMM was swimming upstream from the start on this one.